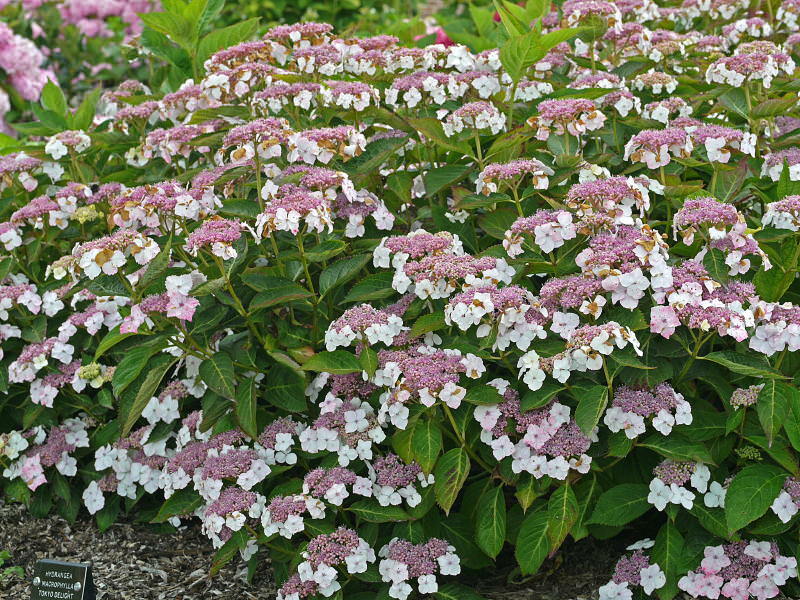 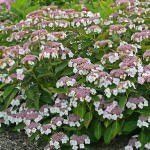 A beautiful Lacecap with white ray florets surrounding clusters of soft pink fertile flowers. 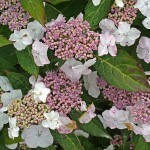 The blooms are not large but very numerous, arranged in tiers up to 2m high on mature bushes. 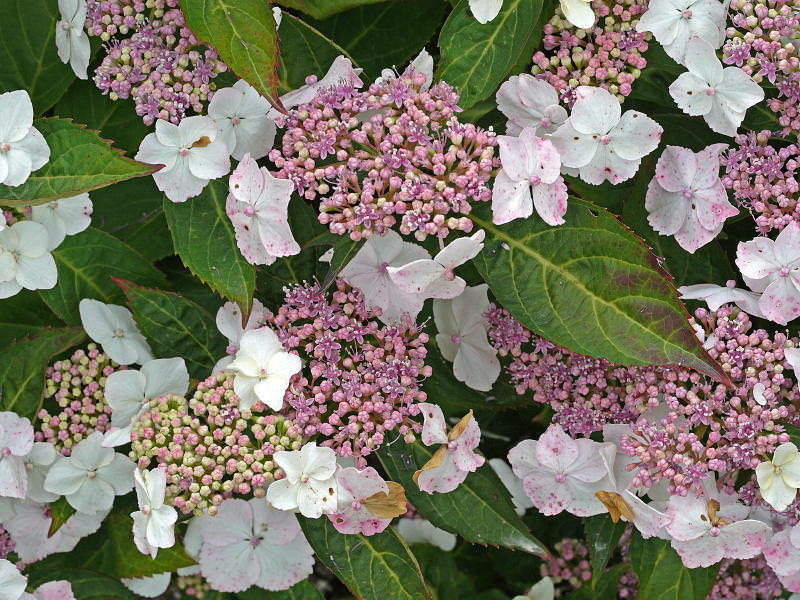 The flowers age to pink and then red and the leaves have rich autumn colour.